Caro began sculpting while working in the sculptor Charles Wheeler’s studio during the school holidays. In 1942 he began a degree in engineering at Christ’s College, Cambridge. In 1951 Caro moved to Much Hadham in Hertfordshire in order to work as a part-time assistant to Henry Moore. He first showed his own work at an exhibition entitled ‘New Sculptors and Painter-sculptors’ at the Institute of Contemporary Arts in London in 1955. His work has been included in several important exhibitions including ‘British Sculpture in the Sixties’ at the Tate Gallery in 1965 and the Museum of Modern Art, New York presented a retrospective exhibition of his work in 1975. 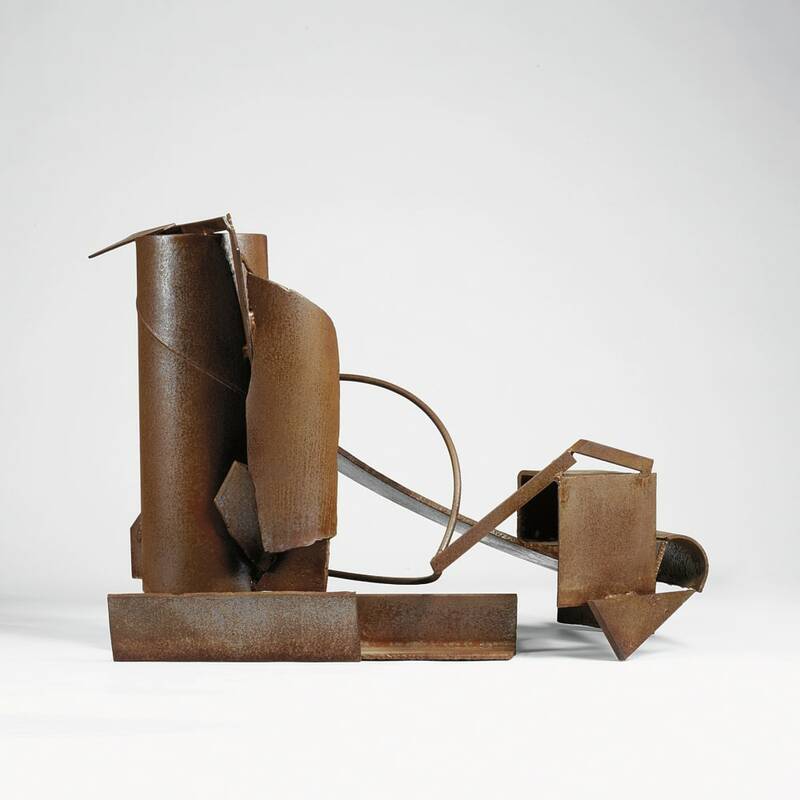 In 2005 Tate Britain held a major retrospective covering all principal phases of Caro's career from the 1950s to the present.Caro’s preferred medium is steel. His first sculptures were revolutionary. Without pedestals or plinths, sheets of metal which did not represent any particular object but had a great sense of movement, these rather industrial, architectural pieces were entirely new to the art world. Caro is particularly concerned with the act of welding as a process of uniting several different elements within one composition.